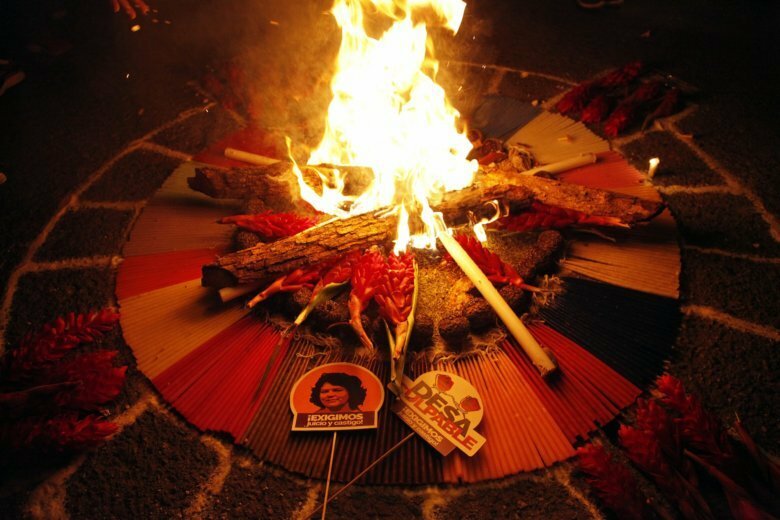 TEGUCIGALPA, Honduras (AP) — Honduras’ supreme court indefinitely suspended the start of a trial Monday of eight men charged in the 2016 killing of prize-winning Honduran indigenous and environmental rights activist Berta Caceres. Caceres’ family and the organization she led said in a statement Monday that the court where the trial was to be held had not guaranteed the rights of the victims or the accused and that it would not be impartial. They petitioned that the case be moved to another court. “We seek justice amid adverse circumstances and even there find a criminal structure behind the death of Berta,” her family said in a statement. Prosecutors said in a statement that the scientific evidence collected would be the key to convicting the suspects. Caceres was shot to death inside her home in La Esperanza in western Honduras on March 2, 2016, one year after winning the Goldman Environmental Prize for her leadership against a dam project. Two of the accused worked at one time for Desarrollos Energeticos SA, the company behind the hydroelectric project that Caceres and her group Copinh had battled against for years. Caceres had reported death threats from both of them. Another defendant was an active-duty military member, supporting assertions by Caceres’ family that there was collusion between the company and state security forces. “The board of directors of DESA planned the killing of my mother,” charged Olivia Zuniga, one of Caceres’ daughters. Roberto David Castillo Mejia, who was executive president of DESA when Caceres was killed, was arrested last March in the killing, though he is not part of the suspended trial. Prosecutors allege he was in charge of handling logistics for the killing. The company said Castillo and its other employees were “totally unconnected” to the murder. Caceres had been threatened before and as early as 2009 the Inter-American Commission on Human Rights had ordered protective measures for her safety. Other members of Copinh had also been killed. The gunmen who killed Caceres also wounded Mexican activist Gustavo Castro Soto, who was at the home that night. The Honduran government has been under significant pressure from abroad to solve the killing in a country where impunity runs high. The group of independent experts warned of irregularities and sloppiness in the investigation. Last week, Caceres’ daughter Berta Zuniga said in an interview with local radio that authorities want to limit the trial to the killing itself, but the family wants a broader airing of the years of harassment that Caceres suffered because of her opposition to the dam. “It is impossible, truly, to understand the crime against Berta Caceres without understanding what was happening in the community of Rio Blanco with the hydroelectric project Agua Zarca,” Zuniga said.